Create your own enchanting fairytale with this wonderful statement piece featuring filigree hearts and a fashionable tassel! If like the rest of the world, you watched the Royal Wedding, you will agree with me that it perfectly depicted the happy ending of a beautiful modern fairytale. Whether you have found your own Prince Charming or not, you can still live out your fantasies with this romantic and captivating charm. The PANDORA Enchanted Heart Tassel Pendant (797037) was one of two charms from the PANDORA Spring 2018 Collection that including a tassel decoration. The other charm is the Enchanted Tassel Pendant (797018CZ) which incorporates a spectacularly long tassel with a sparkling cubic zirconia ball. The magnificent Enchanted Tassel Earrings (297115), also from the PANDORA Spring 2018 Collection, are a combination of the two tassel charms and feature the incredibly long tassel but with a filigree heart design at the top. 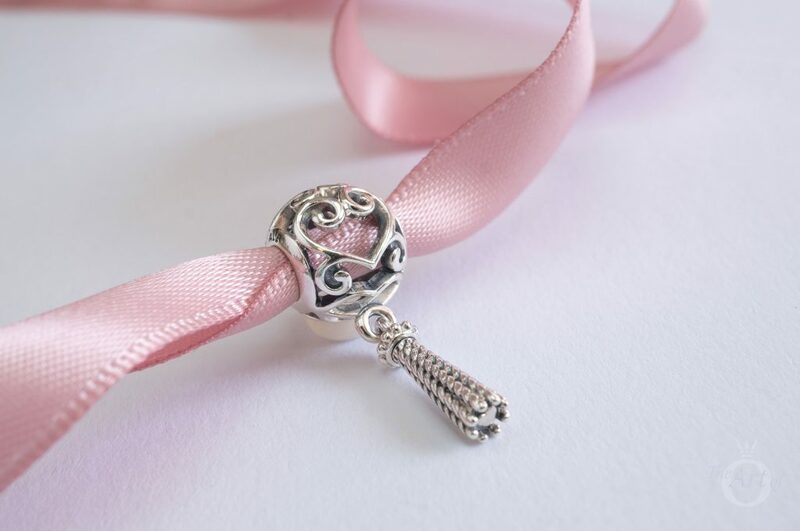 The Enchanted Heart Tassel is another excellent example of PANDORA stepping out of their comfort zone! Some of the last years collections included charms that were just a slight variation of older designs. 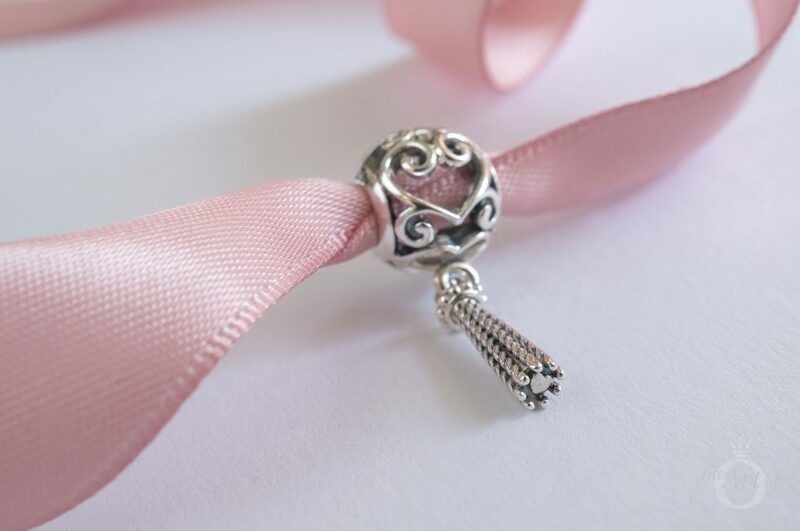 The PANDORA Enchanted Heart Tassel is new, fresh and interesting! The main sphere of the Enchanted Heart Tassel charm is an elegant filigree pattern with a curly heart at either side and swirls at the top and bottom. 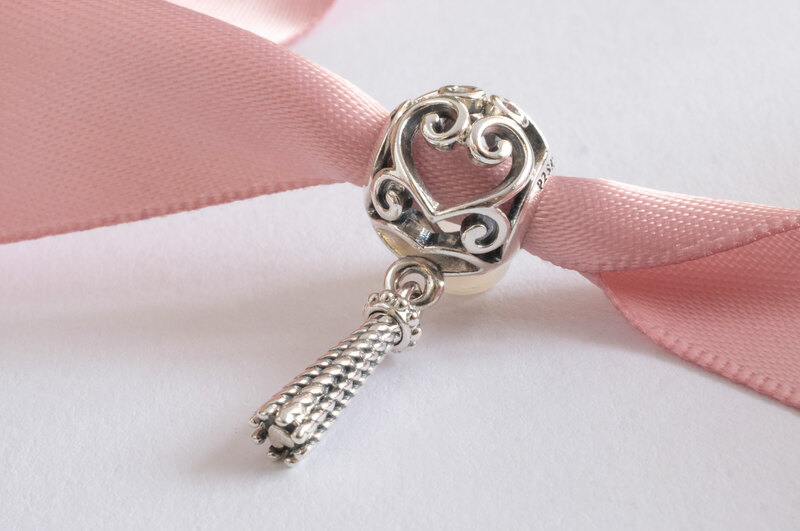 As the Enchanted Heart Tassel Pendant is an open work charm, it is quite lightweight to wear. The script like arrangement which surrounds the two hearts on the Enchanted Heart Tassel Pendant, is picturesque and whimsical. The overall look of this charm is both vintage and contemporary all at once! The hallmarks are discreetly placed at opposite sides of the Enchanted Heart Tassel Pendant. The new PANDORA hallmark ‘P2 S925 ALE’ is on one side. 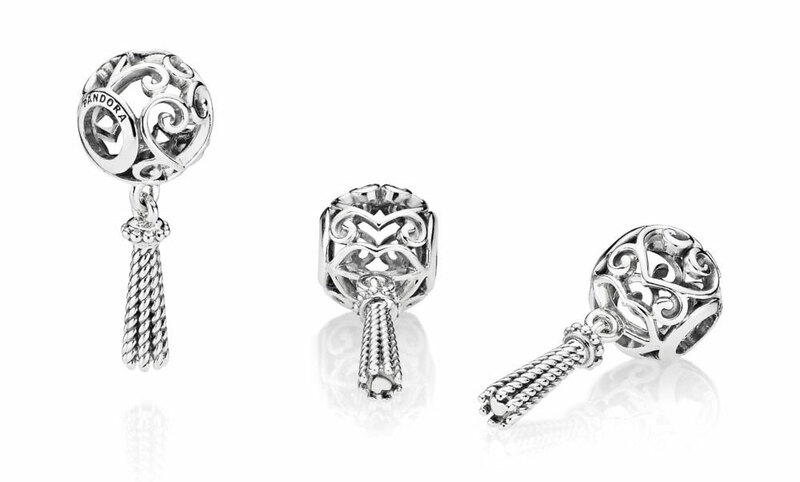 The opposite side of the Enchanted Heart Tassel Pendant charm is stamped with the ‘PANDORA’ hallmark. When I saw the Enchanted Heart Tassel in real life I was surprised to discover that the tassel part of the charm was not make up from individual chains. In fact each ‘strand’ of the tassel is moulded to depict a separate thread but actually is fixed in place. My guess to why PANDORA created the tassel in this way, is that multiple threads could get easily tangled and knotted together. This approach is aesthetically pleasing but practical too. My first styling titled ‘The Beginning & End of Everything’ highlights the antiquated beauty of the Enchanted Heart Tassel Pendant. 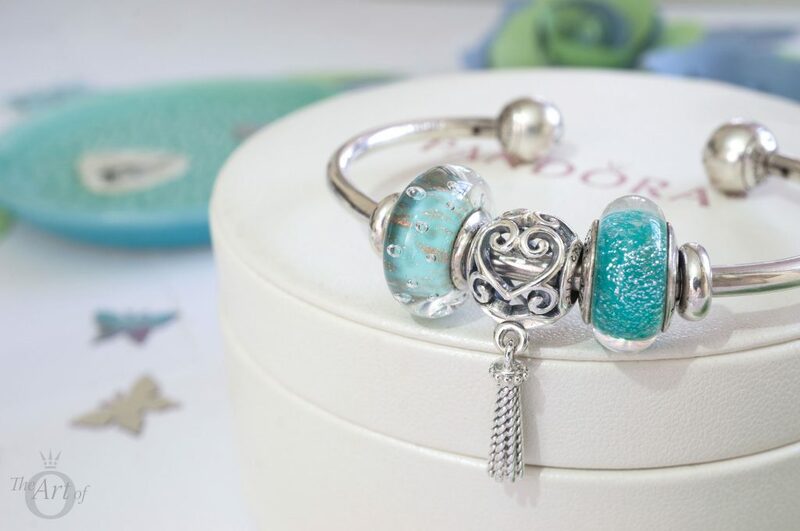 The retired PANDORA Oxidised Bracelet (590702OX) presents a perfect backdrop which is gorgeously, gatsbyesque! This design plays with the concept of modern vintage and presents a juxtapose of retired PANDORA oldies with fresh, current charms. The sleek Shining Path Clips (791972CZ) contrast wonderfully with the gothic Wanda’s Garden Spacers (790861CZK). The bright, shiny Dreamy Dragonfly (797025CZ) and Promise of Spring (797046) charms are clean and crisp alongside the intricate Floral Heart Padlock (791397) and the Sparkling Leaves (791380CZ) charms. I was within and without. Simultaneously enchanted and repelled by the inexhaustible variety of life. The Gatsby theme continues in my second design, ‘Whisperings, Champagne & Stars’, with the new PANDORA Moments Sliding Bracelet (597125CZ) providing a modern take on the Art Deco style. The dangling sparkling end caps of the bracelet create a pretty symmetry with the hanging Enchanted Heart Tassel Pendant. The rich, shimmering colours from the mother of pearl inlays of the Celestial Mosaic (796400MMB) and Pearlescent Mickey Silhouettes (791818MOP) charms creates a luxury finish to this simple styling. 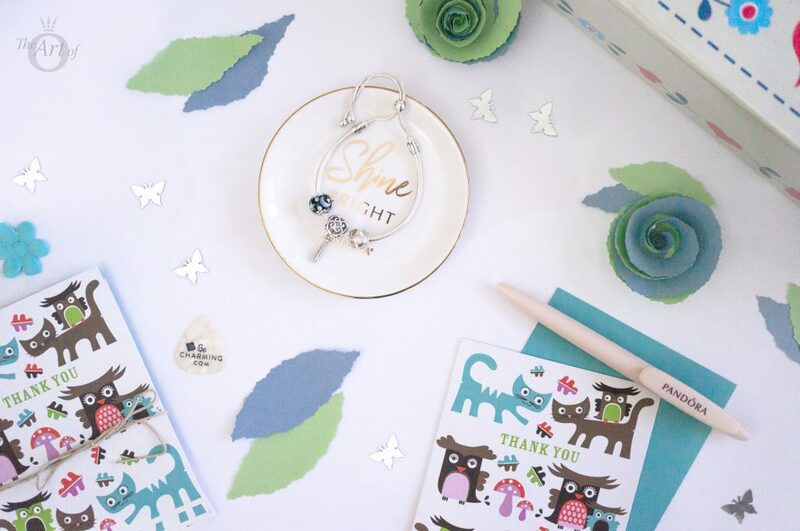 The Enchanted Hearts Tassel Pendant is a beaming and highly polished silver which looks stunning against green and teal colours. This simple styling on the PANDORA Open Bangle (596477) is ideal for the warmer months and it possesses a boho chic feel that is perfect for Summer holidays. The gorgeous green hues of the Disney Jasmine’s Signature Colour (791648) and Mint Glitter (791669) Murano charms are reminiscent of glistening sunlight, dancing on top of a rippling infinity pool that fades into the distance. My final styling of the PANDORA Enchanted Heart Tassel illustrates how versatile the charm is. As the tassel is not overly long the Pendant looks charming worn on a bracelet but it also looks fabulous worn as a pendant on a necklace. 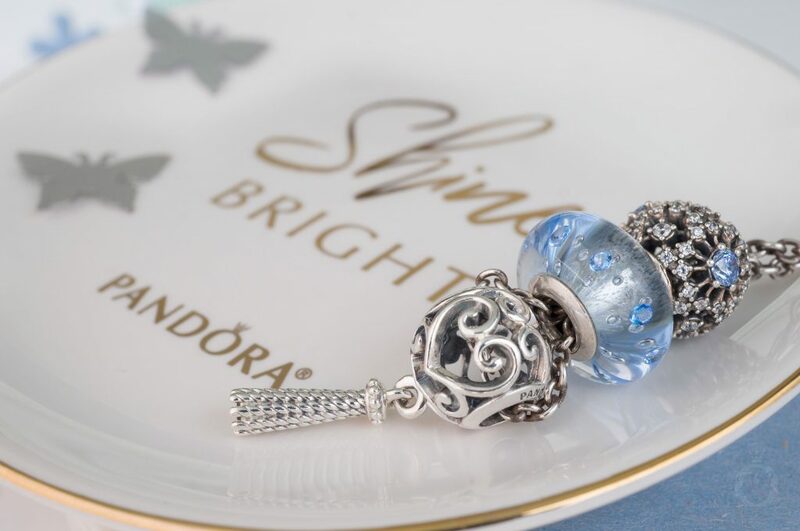 The ‘Blue Gardens’ styling is an enthralling and mesmurising design that combines the Enchanted Heart Tassel Pendant with the cool Ice Drops Murano (796365CZB) and the magical Disney Cinderella’s Wish (791592CFL) charm. There I was, way off my ambitions, getting deeper in love every minute, and all of a sudden I didn't care. 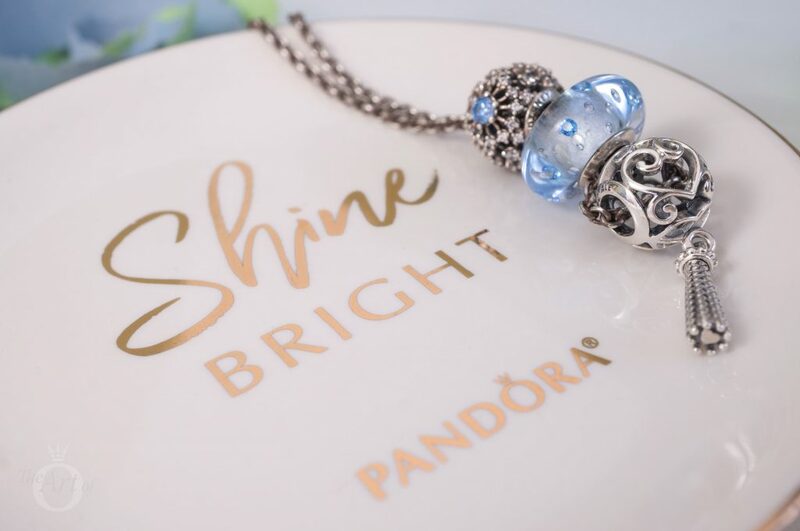 With graduation time approaching the PANDORA Enchanted Heart Tassel Pendant would also make a fantastic graduation gift! My verdict on the PANDORA Enchanted Heart Tassel Pendant? If in doubt, add a tassel! Sometimes simplicity is best and this design reflects that as despite it is relatively plain and unadorned it is an outstanding statement piece. As it is free from any enamel or stones it has a low cost and is excellent value. The beautiful filigree design will capture everyones eye and as it can be worn on both necklaces and bracelets it is quite versatlie. 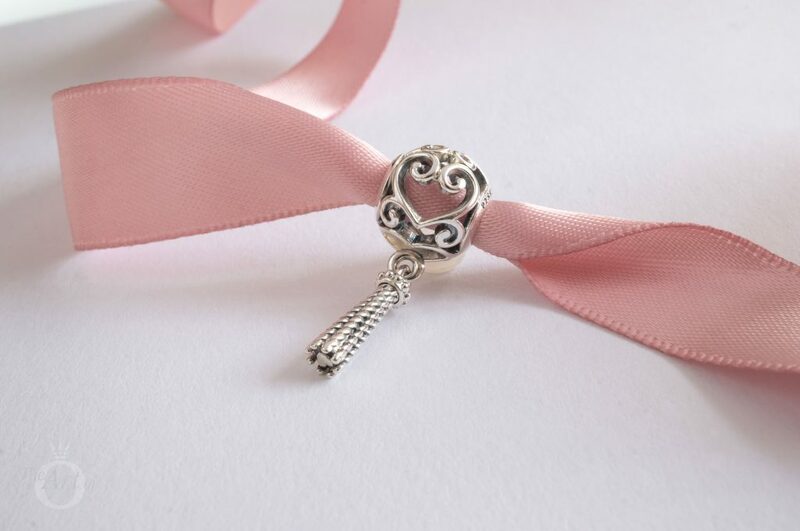 In the UK the PANDORA Enchanted Heart Tassel Pendant (797037) is £30 and is available from the PANDORA UK eStore. 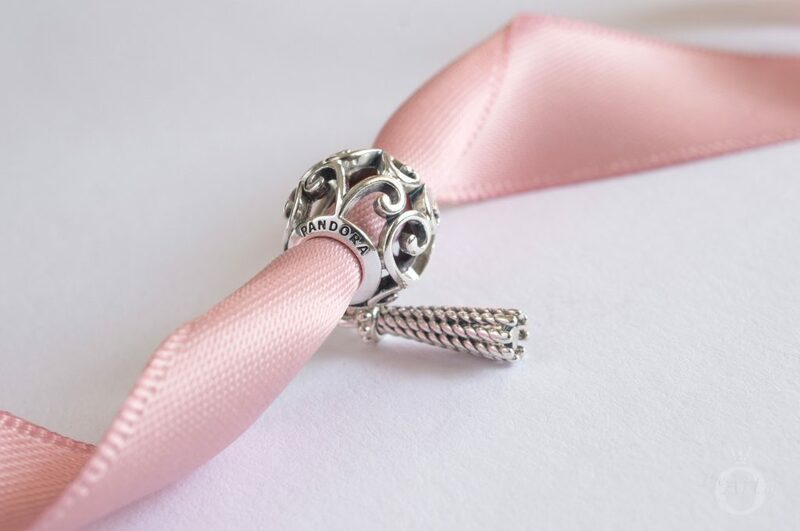 Another great write up on a beautiful charm!i Definitely have this charm – was one of my favourites when the tassel range came out! 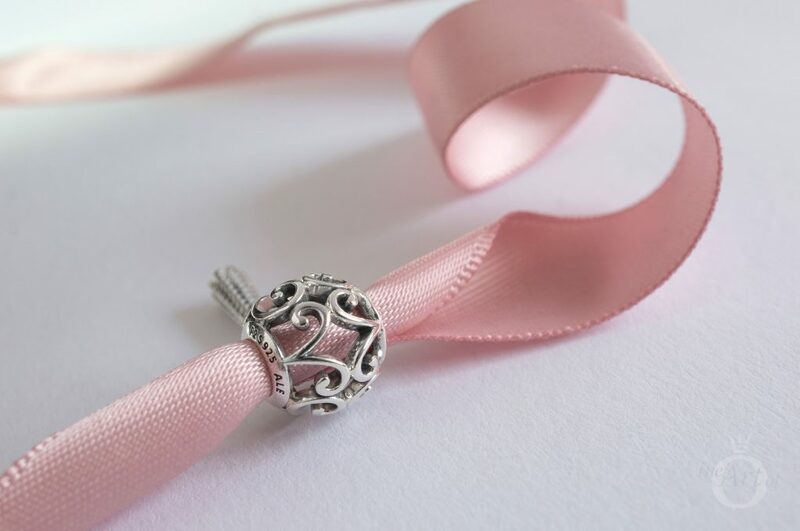 Love the way you have styled this gorgeous charm. I love mine as pictures too. I really like the other Tassel pendant too but I couldn’t imagine wearing it that often as it is so long. The Enchanted Heart Tassel is long enough to be pretty but short enough to be practical! Thank you again for your comment and have a charming day! Love this tassel charm! 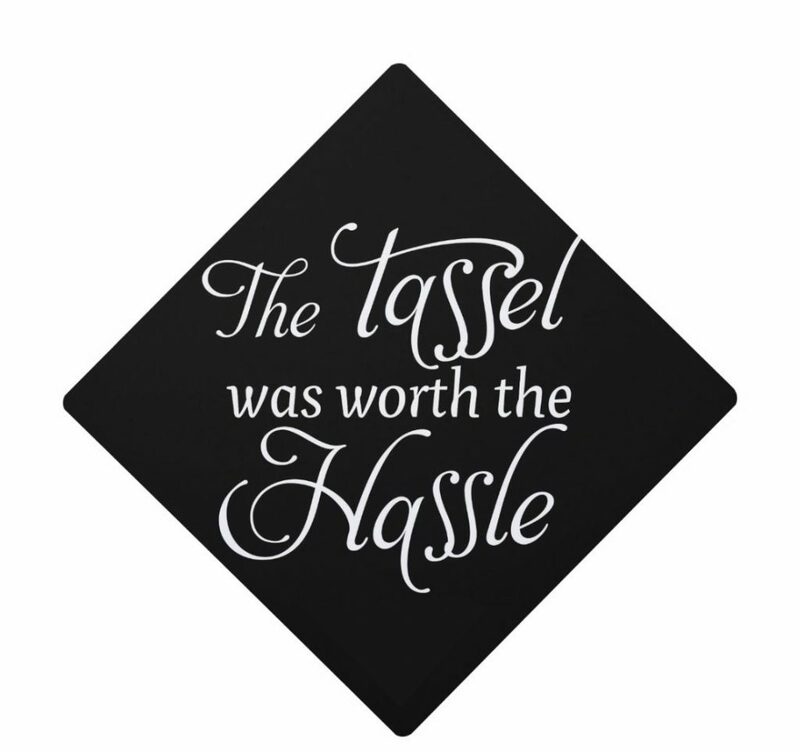 Was one of my favourites in the tassel range, I bought it as soon as it was released! Love the way you have styled it! It really is a lovely charm and so versatile too! How do you style yours? 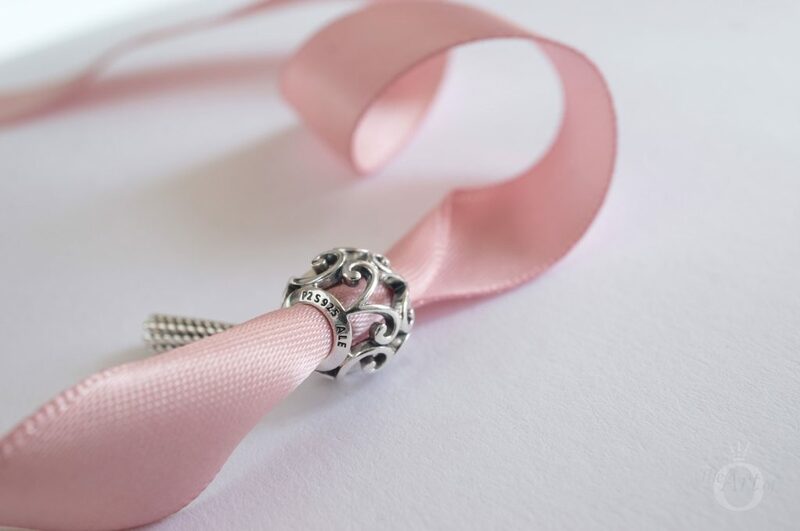 Do you wear it on a necklace or bracelet? Thank you for commenting and have a great start to the week! Love all your stylings but especially the necklace. Thanks for your review. I didn’t realise there is a heart at the base of the tassels. Makes the charm even more appealing. I really like the necklace styling too along with styling number 1. It’s funny how PANDORA like to hide hearts in their designs and this one was well hidden! Thank you for your comment and have a fantastic week! Hello. This Charm Enchanted Heart Tassel Pandora was my first purchase of the Pandora Spring 2018 collection, along with Chandelier Earrings and Hearts Swirls Earrings. 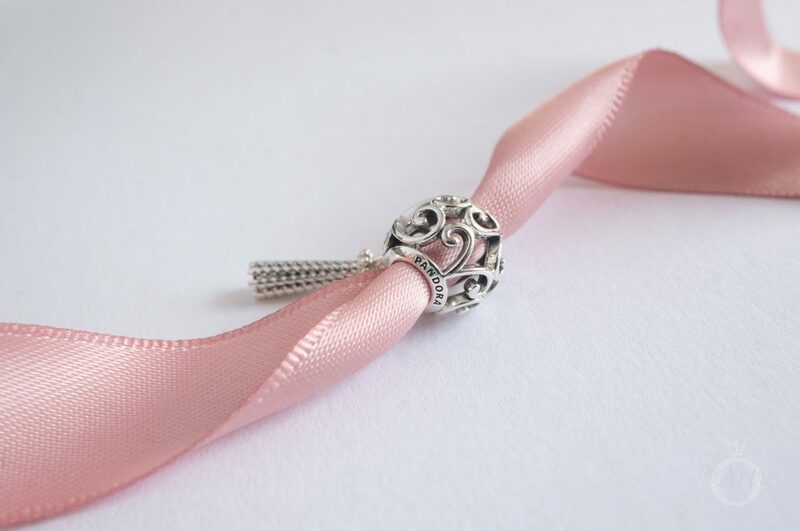 Wonderful and comfortable charm, I love the filigree details of the tassel. Use as a necklace pendant, it looks beautiful and stylish. 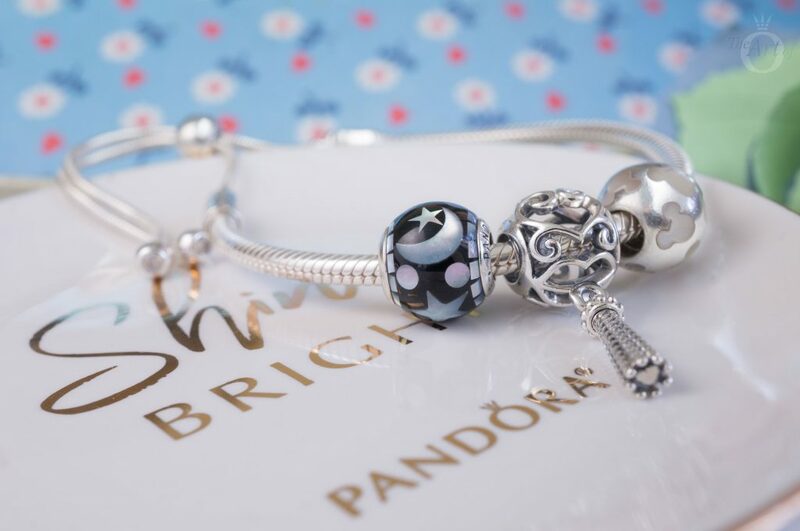 It is wonderful to see PANDORA producing such a stylish charm that is so reasonably priced! I agree that it looks amazing worn on a necklace. I loved the longer Tassel charm but this one suits my taste more as I don’t tend to wear long necklaces even though I like the look of them. Another amazingly beautiful and inspiring blog! Agree with Cazz, the enchanted heart tassel was the first item that I purchased from the spring release. I love the simplicity of the silver paired with the complexity of the design. So refreshing. I also LOVE the way you’ve paired it in all the different styles (I think the all silver look may be my favorite) and now have much needed ideas to refresh my bracelets! The Enchanted Heart Tassel was a refreshing change of direction from PANDORA. I’m always happy when they produce charms like this one as the cubic zirconia can be over the top sometimes plus it adds to the cost. How have you been wearing your Enchanted Heart Tassel? 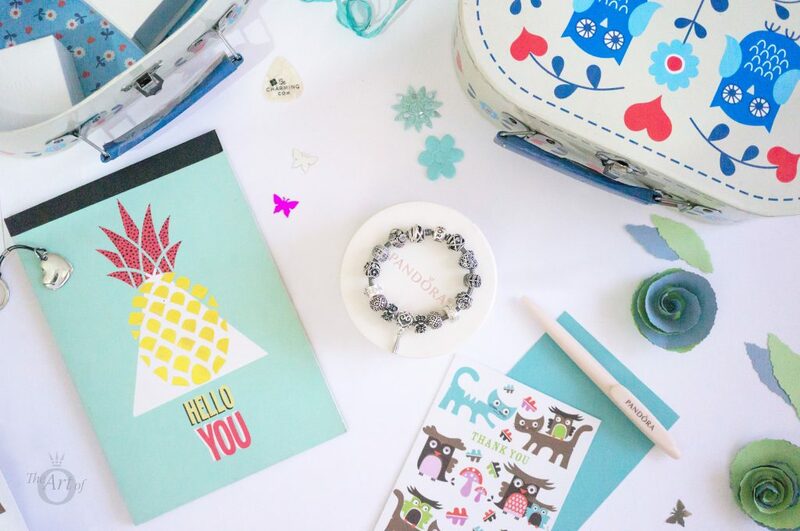 Do you keep your bracelets made up or mix them around? 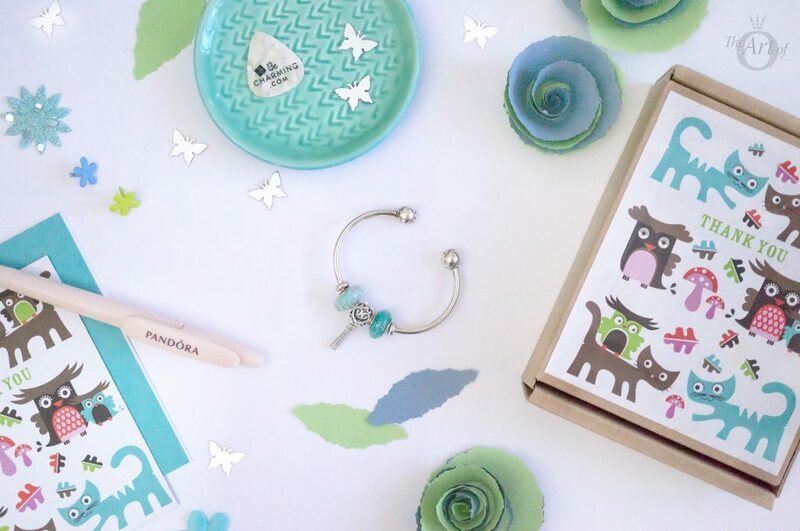 Can you help exactly which Pandora necklace you used in the “STYLE 4: blue gardens” picture? Most necklance of what I’ve found or aren’t long enough or not strong enough to keep my charms safe. I’m not sure how long you like your necklace but it is just right for me. I use the first clasp for most pendants but if I add a few charms to the design I wear it on the last clasp to add a little length. It sits comfortably on my chest and is great for most necklines too. Thank you for your help. I’ve got this necklance so I will try to use like in your post! That’s great! 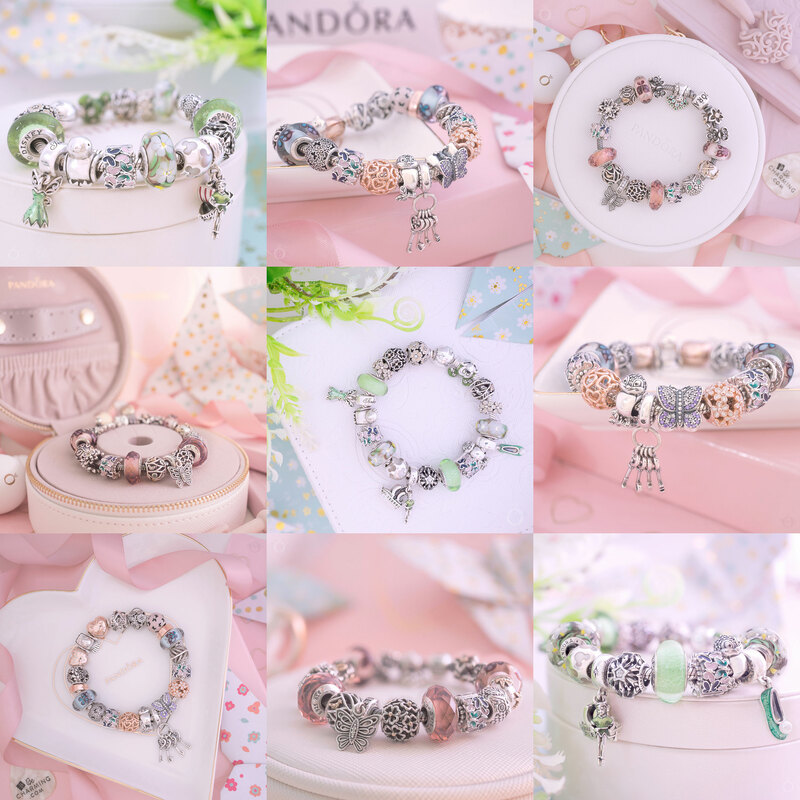 I love how with PANDORA the options are endless and we can try new ways to wear our jewellery.